Android’s fragmentation: whose problem is it? The topic of fragmentation within the Android ecosystem continually pops up from time to time. For evangelists of opposing platforms (and I probably count as one of those people), they like to bring up the issue as a point of showing how inconsistent the platform is and how it drags down the user experience. Let’s assume for the sake of this article that Android, as a platform, is very fragmented. But we’re not going to assume that fragmentation is inherently bad for all people. It may in fact be very good for some, so let’s just leave that issue to the side for now. A blog post making its way around the internets today comes from Michael DeGusta at theunderstament. I’m including his chart below for reference. It appears to be a widely held viewpoint that there’s no incentive for smartphone manufacturers to update the OS: because manufacturers don’t make any money after the hardware sale, they want you to buy another phone as soon as possible. If that’s really the case, the phone manufacturers are spectacularly dumb: ignoring the 2 year contract cycle & abandoning your users isn’t going to engender much loyalty when they do buy a new phone. …In other words, Apple’s way of getting you to buy a new phone is to make you really happy with your current one, whereas apparently Android phone makers think they can get you to buy a new phone by making you really unhappy with your current one. It’s a fair argument, but I don’t know that it’s altogether there. People talk about the Android platform as this singular unified thing, when I actually believe that it is quite the opposite. The Android ecosystem is actually fragmented by design. Google created it and is licensing it for that expressed purpose that it can simply be chopped up 15 ways from Sunday in any manner you like. What we often fail to remember is that you and me, as consumers, are not Android’s (and by proxy Google’s) customers. We are merely another part of Android’s complex ecosystem of cash generation, but we don’t generate the cash from buying our phones or using our minutes, rather we generate Android’s cash by searching and utilizing Google’s wide array of free, ad-supported services. The beauty of Android’s ecosystem is in it’s flexibility: it can be just about anything to any manufacturer, but if you want to create an iPhone like experience, a manufacturer would have to create the entire experience on their own. Amazon and Barnes & Noble are prime examples of companies trying to do that now with their locked down Nook Color and Kindle Fire. But now let’s return to the previous idea of whether fragmentation is distinctly a good or bad thing and who it impacts. For Google, even though they act like they care, I’m not sure why they would. Android is clearly the highest selling mobile platform with no imminent threat of that changing anytime soon. They seem most concerned about what pundits say, but it’s hard to say whether they actually care about changing the culture or not when the results speak for themselves. Now let’s look at Android’s partners, the manufacturers (Samsung, LG, Motorola, HTC, etc.) and carriers (Verizon, at&t, T-Mobile, Sprint, etc.). Each manufacturer is producing multiple phones for multiple carriers. The phones vary widely (again, another benefit of the platform) in both features and price, yet also now we’re finding in operating system version as well. I’m guessing the profit margins for the manufacturers differ widely as well and with so much internal Android competition happening, new phones being introduced and launched virtually each month, there is a palpable pressure for a high frequency of releases. From a manufacturer’s point of view, when all of your effort is on more devices, more carriers and placating each carrier with their own customization (if they don’t placate the carrier, someone else most likely will, which makes Android differentiation tricky), why would these companies care about long-term support? What’s in it for them? Customer switching costs would be quite low since there is a variety of Android handsets on each carrier from multiple manufacturers. How do these companies differentiate themselves? The answer is they can’t. They’ve effectively turned the majority of the ecosystem into a commodity for the average consumer. I would bet yesterday’s donuts that the best selling Android handsets right now are not big name high priced ones, but they’re the “free on contract” devices that always seem like the best deal at the time (even though we know it’s not in the long run of the cost of the service). These devices are commodities, quickly to be replaced with the latest hotness coming next week. It was bound to happen once the market matured enough and the effect will only accelerate going forward. So the question is, does this really matter to consumers that the manufacturers won’t support their device a year after it’s launched? While those of us who already get great support say yes, my guess is that the majority of average consumers simply don’t care. That’s the effect of a commoditized market. It’s been a few months and it’s time to give Technicalko.com a reboot. With that, it’s about time to update my last post regarding Beluga. Much has happened since May. I was a big proponent of Beluga at the time, but since being purchased by Facebook, they have completely stopped updating the app and for all it seems, they’ve stopped development altogether. Facebook has released Facebook Messenger, a completely separate app for iOS which, shockingly, looks exactly like Beluga. It’s sad to see this happen, but then again, we do have other options. GroupMe has grown quite a bit in popularity, though its buggy browser interface and 160 character limit (really GroupMe? 160 character limit?? Really??) have been a bit of a turnoff. So instead, I have turned most recently to Apple’s new iMessage app. It works great… just as long as everyone you text has an iPhone running iOS 5. In my case, many of the people I regularly text do have iOS 5, so it will do for now. But if I really want a true multiplatform option that “just works”, what’s the best option? I simply don’t trust Facebook, and Beluga’s beautiful simplicity is slowly fading away. The pace at which technology moves these days is amazing. It seems like only yesterday that Apple was introducing mobile apps and Google launched the G1. Yet at the same time it seems like the BlackBerry has been around for years and it looks rather similar to how it’s always looked. 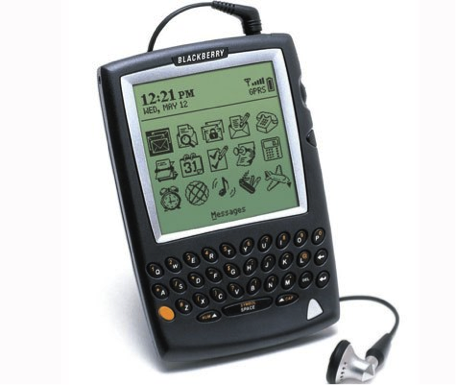 Though here and there, as advanced as Android and iOS have become, every once and a while you hear about a group of people who simply won’t give up their BlackBerry phones. And especially with younger people, the reason they seem to be sticking with the BlackBerry is because of BlackBerry Messenger (BBM). But how is it that a program like this can proliferate in a time of cross-platform? BBM is like a platform specific IM client. 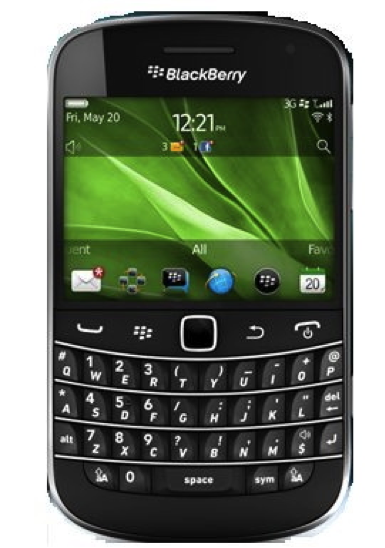 It’s slick because it’s basically integrated with the phone and works with all current BlackBerries. The integration is very tight. On other phones you’re stuck with texting, which limits the number of characters to 160 per text, and also doesn’t support group texting (some devices do in a way, but it’s not part of the “system”). BBM allows you to know for sure that a message was sent, and also you know when it was read. That, in a nutshell, is what BBM has going for it. However, it also has some big limitations. For starters, BBM works on ONLY BlackBerries. How great would it be if you could BBM with your friends who have iPhones and Android phones and others? That’s a major missing piece. Secondly, is it just me or is knowing when your text read as a feature reek of email read receipts? Texting read receipts are no more of good idea than email read receipts are. I don’t want people to know when I read something and I don’t care if it’s an email or text or anything. So why now, in this era of RIM’s falling market share in the US would they not develop BBM for other platforms? No one knows. RIM marches to their own drum. Ultimately their lack of innovation in recent years will probably doom them to fourth or fifth place US market share before long. So then WHY on earth can’t the rest of us enjoy the benefits of BBM? This can’t be so complicated can it? Enter Beluga. Instant messaging has been around for years and years, but it’s never really made a successful jump to phones. Maybe Beluga can make a difference. 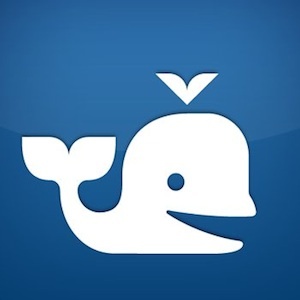 Think of Beluga as BBM for your iPhone, iPod Touch, iPad, Android device or even your computer. Beluga allows you to create specialized rooms called “Pods” where you can hold conversations with anyone who either has a Beluga account or has a cell phone. You get rid of the character limit of SMS but you now have true group messaging, just like BBM. Beluga is fantastic: it’s simple, elegant, it doesn’t try to be something it isn’t, and best of all, it’s cross-platform. HALLELUJAH!! Now if they really wanted to up their game, Beluga would also create a WebOS, Windows Phone 7 and BlackBerry app as well. That would really give them the leverage to grow. But growth also has me concerned. Beluga was started by some ex-Googlers and their excellent little app was noticed and recently bought by Facebook. Interesting though it is, Facebook does have a history of buying companies for their talent, and then shutting down the company. Please oh please Facebook!! Please don’t take away our Beluga!! Sure, we could move to GroupMe and not think twice about it… but I really don’t want to. I consider myself and average texter for my age. I used to need the 250 text per month plan… then I needed the 1500/month plan. Then I almost needed the unlimited at one point. But now with Beluga, I’ve converted 95% of my texting to Beluga which means, my dear friends, that I no longer need to pay my wireless carriers exorbitant costs for giving me the privilege of text whom, when and how often I wish. Beautiful!! I highly recommend checking out Beluga and telling your friends as well. Even if you intend to use it for texting to those without a smartphone, it works extremely well for texting basic feature phones as well. Give Beluga a chance. Maybe if we get enough folks using this fantastic free service, Facebook will spare it from the chopping block and realize how it can thrive completely and profitably on its own. When is 4G not 4G?? It’s all marketing…. So Motorola is coming out with their highly touted new Android phone the Atrix 4G on AT&T’s 4G network (well, it’s sort of a 4G network ever since the rules for what is and isn’t 4G were relaxed a bit, but we’ll give AT&T and T-Mobile the benefit of the doubt and agree that their new HSPA+ network is “4G” for all intents and purposes). Motorola has a lot going for it as they can really design some fantastic hardware, and according to the guys at Engadget, this phone packs some serious heat. But right now there’s all this buzz around phones with “4G” this and “4G” that. Advertisers and marketers for the wireless companies are pushing the “4G” label around as much as they can and the unfortunate thing is that it’s actually working. Uninformed consumers actually assume that they’re somehow better off with a 4G-capable phone right now than with one that isn’t (for the real scoop on 2G, 3G, 4G and everything in between, check out Engadget’s fantastic primer on the subject). AT&T and Motorola are billing the Atrix as a 4G device. Hell, it’s got the term in its name! We wish that we could report back that we saw 4G-like speeds on the phone, but it’s actually quite the contrary. In comparison to other handsets we’ve tested on the network in the same spots, the Atrix 4G actually got lower speed rankings on both downstream and upstream tests. In general, we saw an average download speed of around 1.5 Mbps, while uploads were even worse at just about 0.15 Mbps. We did see download speeds spike occasionally into 2.2 Mbps territory, but that wasn’t the norm. During the testing, the phone had four or five bars, and was clearly displaying the HSPA+ icon. The odd thing is that if you compare the device against the iPhone 4 on AT&T’s network — tested in exactly the same locations — you see much different results. On the iPhone, data speeds were consistently in the 2 or 3 Mbps range for downloads, and hovering around 1 Mbps for uploads. At this point it’s hard to say if it’s the phone or the network. Could be one, the other, or both. But the point is, don’t believe the label and understand that 4G is under developed right now that it’s just too early to get excited about which phones are 4G and which ones aren’t. Give it about a year and then we should really be seeing 4G phones and devices really start to surpass their 3G counterparts. As some of my may know about me, I’m currently enrolled in the full-time MBA program at the University of St. Thomas in downtown Minneapolis. It’s an amazing program and after only one semester, needless to say, I’ve learned quite a bit. In one of our classes in the first semester, within our teams of four, we engaged in a business marketing simulation known as LINKS. My team did quite well, but it was interesting how many teams took different approaches to attaining their definition of “success”. To some it was market share, by attaining the most sales, regardless of profit, that was their goal. To other teams it may have been high levels of customer satisfaction without industry leading market share or profit. On a weekly basis they tended to rank us in order of quarterly profit, while disregarding such measures as market share, debt, and customer satisfaction. To me, it really does beg the question, “what is success”? How do you define success and what does an industry leader look like? Smartphones right now are all the rage and if you listen to a lot of the chatter out there, either you’re an Apple fan and you believe that the iPhone will continue to be the bestselling smartphone or you believe that the Android wave is inevitable and will squash the iPhone into minuscule market share like the Mac. To me, it all goes back to different definitions of success. Apple store employees are sometimes reminded of the old 5-95 adage (or sometimes 8-92, basically saying that the Mac has 5% market share down, 95% to go), but is that really what they want? What’s so bad about dominating the most profitable segment of personal computers? I believe the iPhone is similar in this respect. Remember way back just over four years ago when Apple unveiled the original iPhone. At the announcement press conference, Steve Jobs mentioned how the mobile phone market was so large and all they wanted was 1%. It’s been four big years for the iPhone and currently the iPhone is accounting for just over 4% of all mobile phone sales and just over 17% of all smartphone sales. Those are impressive numbers to be sure. What Steve joking when he said he only wanted 1%, was he simply trying to temper expectations, or did he actually believe that 1% was the best they could do? I have a feeling that he was simply trying to set the bar low enough so that he didn’t come off overly confident and take the buzz away from the product itself. But does market share really matter to Apple? If it does, they’re doing ok. Go ahead and ask Google and they’ll be happy to point out how the Android is now the dominant mobile smartphone OS. Talk to RIM and they’ll tell you about how they’re dominating in emerging markets (i.e. not the US, Canada, or Europe). So if we draw a dangerous correlation line from personal computer market share to mobile phone market share, we realize that the percentages aren’t that far off (4% for phones and around 8% for computers). But the shocker comes when you look at profit. Apple’s measly 4% market share accounted for over half of all mobile phone profits. Think about that for a moment: One company that is responsible for only 4% of all mobile phones (i.e. all mobile phones, not just smartphones) sold accounted for over 50% of all mobile phone profits. I know one thing: If my LINKS company had industry statistics like that, we would have set a record of some sort (though to be honest, I don’t think there’s any way the simulation would allow anyone to have that much control, assuming real competition). While other companies are playing the market share game, Apple is playing the profit game, and they don’t seem to slowing down. When you’re raking in the kind of cash that would make Scrooge McDuck blush, how bad do you really need market share? It all depends on your definition of success.